I have a private practice with two locations, one is on a horse farm in rural Southwest Michigan, the other in Kalamazoo, Michigan. My two dogs come with me to work. Being a Highly Sensitive Person myself, I benefit greatly from being around animals and spending time in nature and I really enjoy counseling other Highly Sensitive People. Being highly sensitive can be a great asset in life, yet the trait can also mean we get easily overwhelmed, anxious, traumatized and depressed. I can support you in making your sensitivities an asset and help you thrive. In addition to traditional talk therapy, I also offer Equine Assisted Psychotherapy. This is a powerful and highly effective form of therapy where you will interact with horses for personal insight and behavior change. There is no riding involved, no horse experience needed and we are EAGALA certified. I love what I do and I love to share my passion, my animals and my farm. I have 22 years of experience working with adult survivors of sexual violence and the sometimes maladaptive coping skills that results. I specialize in Highly Sensitive People (HSP), a concept made popular by Dr. Elaine Aaron. The HSP might feel the trauma on a deeper level and need more time to process, so I’m very careful to meet my clients where they are in their process and to go at their pace. My goal is to be 100% present with you – to listen well, use my intuition, skills and background for your highest good. I enjoy seeing the healing that is possible, the great contributions recovering survivors can make in their communities and families, and I especially enjoy the more long term relationship a therapist usually have with survivors. 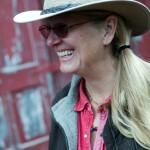 I offer client centered holistic talk therapy and Equine Assisted Psychotherapy (EAP). My holistic talk therapy style is client-centered, holistic and strength-based and I borrows from other clinical approaches such as Cognitive Behavioral Therapy (CBT), Gestalt, and other supportive therapies. EAP is a hands-on, experiential approach to psychotherapy, in which you’ll learn more about yourself and others by participating in activities with horses. You’ll have an opportunity to find deeper meaning and understanding of your own patterns, behaviors and themes by processing the outcome of the activity with the EAP professional team, consisting of a mental health professional and a horse professional. You will also be able to try out new behaviors and attitudes with immediate feedback from the horse’s behavior. In talk therapy, I offer energy clearing, chakra balancing, and energy protection skills building, which I find PTSD sufferers to be particularly drawn to and benefit from immensely. Equine Assisted Psychotherapy offers many benefits to trauma survivors in that in involves horses, nature, movement and touch. Most importantly, the client can tell their story through the horse, which removes the telling of the trauma from the self, and therefore minimizes the chance of re-traumatizing the client. I aim to be present with each client to assess their sensitivities and to be respectful of their process. We go at your pace, and your emotional safety is my highest priority.